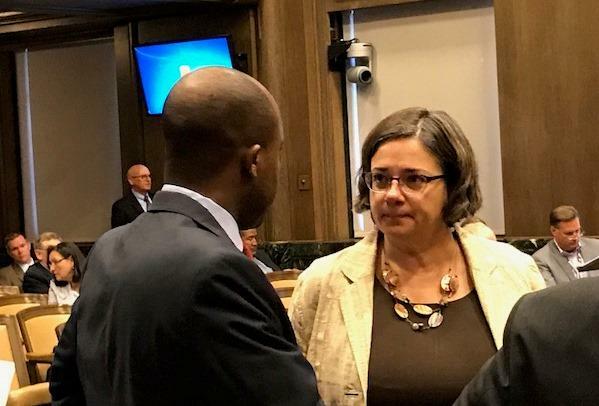 Kansas City Councilwoman Jolie Justus and Councilman Quinton Lucas have been key players in the debate over the new airport. The Kansas City Council put off a decision Thursday to finalize ballot language for a vote on a new airport. The council split seven to six in favor of the delay. Third District Councilman Jermaine Reed argued the council should delay the vote until more of the members could agree on how it should read. Mayor Sly James was among those who wanted to take the vote Thursday. “If we only lead when we have unanimous consent, we aren’t leading,” James said. He said there have been months of debate during which opponents could get answers to their questions. The council has been sharply divided on whether to finance the airport with General Aviation Revenue Bonds or some form of private financing. Measures in support of both have been proposed. Taxpayers wouldn't be liable for a new airport regardless of the financing package. Funds from airport revenues — including user fees, parking and concessions — will pay for the $1.1 billion project. Still, a number of polls show the public is generally opposed to public financing for the new airport, including airport bonds. Before Thursday afternoon’s vote, Councilwoman Jolie Justus said she fears waiting will only confuse voters more in a process that has already become a web of arcane finance and political maneuvering. Justus fears using public funds will doom the project before it gets started. Justus has an alternative proposal that allows some form of private financing but focuses on the question of whether voters want a new terminal at KCI. Meanwhile, a special committee is reviewing four engineering and construction proposals for the project. That committee could make a choice by next week. Updated, 4:56 p.m. Tuesday: There won't be a decision this week on a new terminal proposed for Kansas City International Airport. Instead, the four teams that submitted proposals to build a single terminal KCI are being asked to answer four additional questions by Friday, when the airport selection committee reconvenes. A decision on which company might build a new, single terminal at Kansas City International Airport, potentially a billion dollar project, is getting closer. Kansas City councilmembers plan to pick one of four firms and must have ballot language approved by Aug. 24 if the issue is to make it on the November general election ballot. Burns & McDonnell will employ the first ten graduates of a new career and technical education program on the Kansas City International Airport project – if the city council selects their proposal, that is. 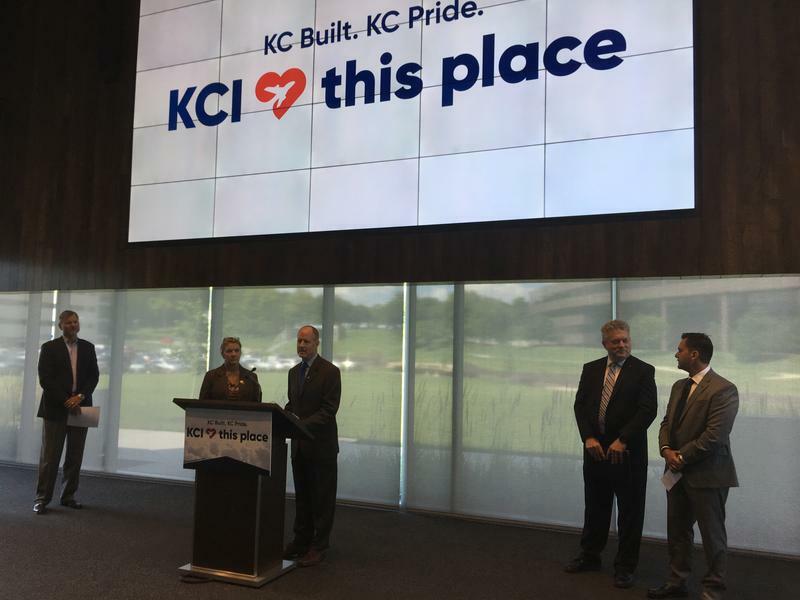 At a symposium for minority-owned businesses on Tuesday, the local engineering firm announced a new partnership with Kansas City Public Schools’ Manual Career and Technical Center to overhaul the construction trades curriculum to focus on commercial rather than residential building.